With origins tracing back many centuries, the Baby Shower is a ceremony conducted in many cultures to celebrate the impending birth of a child or a recent birth where traditionally older women share wisdom of child bearing and raising to the new mother. Though usually only the first kid is given importance, recently all children no matter the number of their birth have been involved in the celebration. The diaper shower is a small variant which is conducted for subsequent children. If the subsequent child is of a different gender than the first, then it is called a Sprinkle. The shower is not a water shower but a figurative term for showering the mother with gifts to congratulate her. The usual gifts are diapers, clothes, baby bottles and toys, which are commonly opened during the party itself. Baby shower invitations, venue and the number of guests are determined by the host and it is common to invite only women. 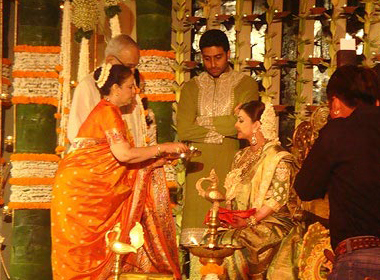 It is also conventional for a close friend or a close female family member to host the event. 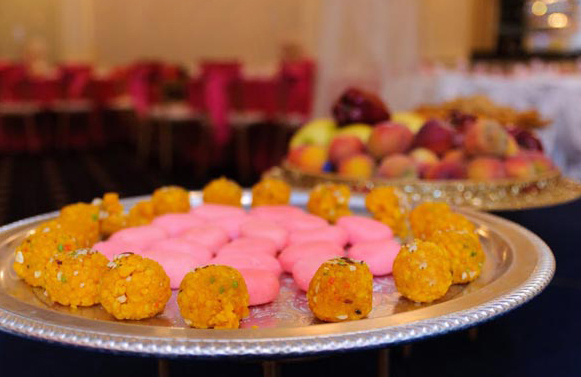 Cake and finger foods are served instead of full meals. Baby shower in Brazil is a women-only party named chá de bebê which means baby tea. Hindus call the event by different names based on the community the family belongs. Events involve playing music, wearing traditional attire and decorating oneself with flowers. Hindi speakers call it Godbharaai, Marathis call it Dohaaljewan while Bengalis and Oriya call it Saadh. In Tamil Nadu and Andhra Pradesh, it is called Seemantam or Valaikaapu while in Karnataka it is called Seemanta. As in Brazil, these events are also usually women-only. Keralites call it Pulikudi, especially in the Nair community. 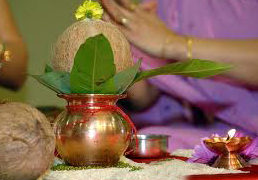 The woman is massaged in Ayurvedic oil followed by a customary bath before worshipping the family deity. In addition, a concoction of herbal medicines is given to her. The main difference between the Hindu and the western event is that the former is more religion based. The Chinese too have a traditional baby showers called Manyue. They hold it a month after the birth of the baby due to the high infant morality rate in the olden days. So if a baby survives a month, it was considered a big thing. Costa Ricans call their shower party as té de canastilla or basket tea. Stork Party is the term used in South Africa for baby shower. They do it when the mother is 6 months into pregnancy. The peculiar thing about this is that it is arranged as a surprise to the mother. Islamic world also has their baby shower festival. It is called Aqiqah. It is performed for the newly born child and involves sacrificing animals and dividing the meat between the poor people, friends and relatives and within the house. UK views baby shower as an American custom and follow something called Wetting the baby’s head. The father is given importance in this where he celebrates the birth by sharing drinks with his friends.